We´ll continue via Ziz Valley and its gorges, and Errachidia. We´ll arrive to the city of Erfoud, famous for its fossils. 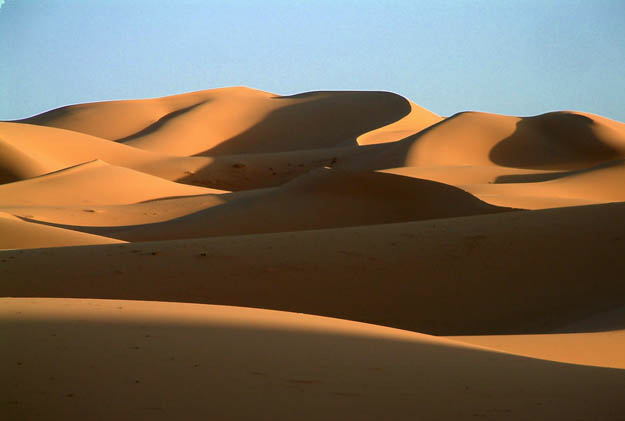 We´ll arrive in Merzouga and ride our camels to spend the night in the middle of the dunes in a nomad haima. 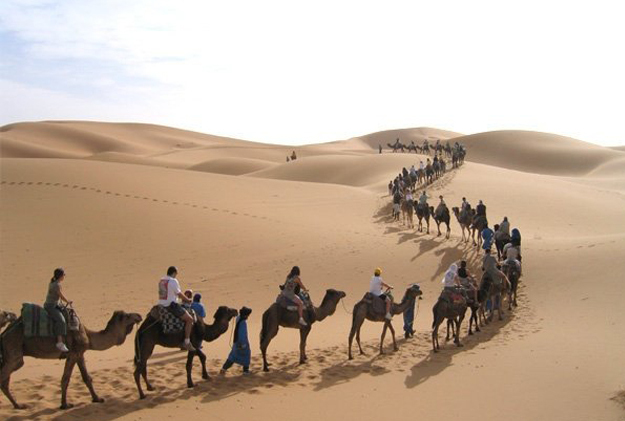 We´ll wake up early to watch the sunrise and climb up the dunes then, we´ll come back to the hostel by camel where we´ll have breakfast to continue towards the gorges via Rissani where we´ll stop to visit its traditional Souk, considered as the biggest at the south of Morocco. We´ll continue towards Todra Gorges, and will spend the night in the middle of the gorges. We´ll have breakfast and the we´ll walk a little along the gorges before continuing towards Dades Valley, the Roses Valley and Skoura Oases. We´ll arrive in Ouarzazate and will stay in a hotel. 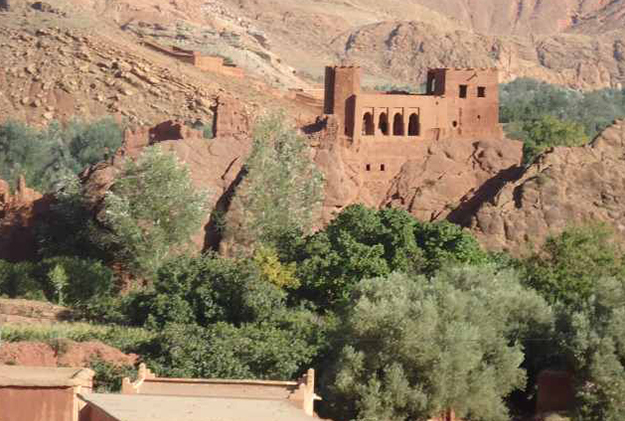 After breakfast we´ll visit Ait Ben Haddou, where we´ll visits its famous Kasbah (declared World Heritage site by the UNESCO). In this astonishing many films like “Gladiator” “Obelix” “Sahara” with Penelope Cruz, or “The jewel of the Nile”” have been filmed. We´ll have lunch and will depart towards Marrakech via Tizi N´Tichka. Nestling in the mountains, we´ll see Bereber villages and farms. 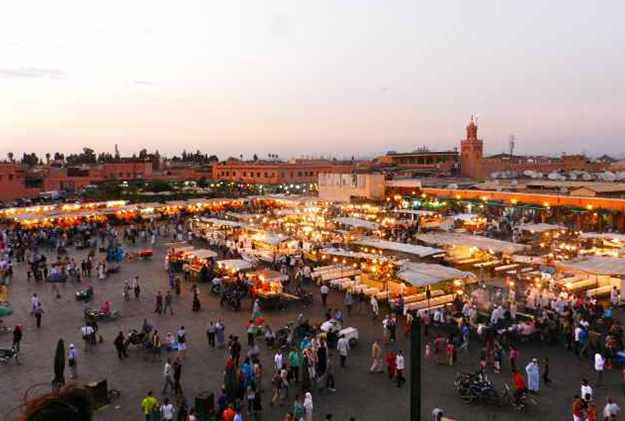 We´ll have a day to discover Marrakech charms and historical monuments: Menara gardens and basin, Koutoubia Mosque, Saadiens Tombs, Dar si Said museum, Bahia Palace and Jamaà el Fna square with its souks. We´ll depart towards Rabat via Casablanca, Moroccan economic capital. 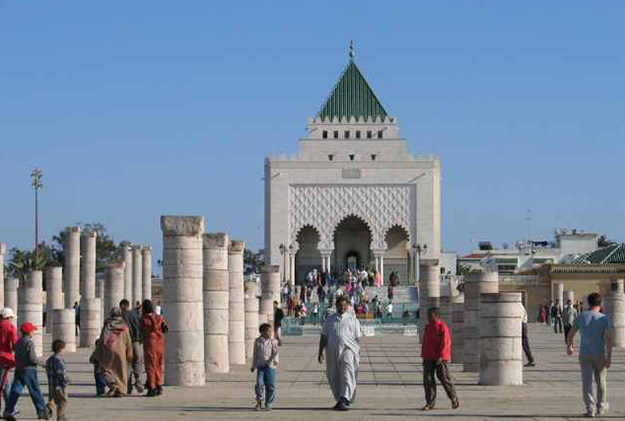 We´ll visit Hassan II Mosque, one of the biggest mosques of the Islamic world. 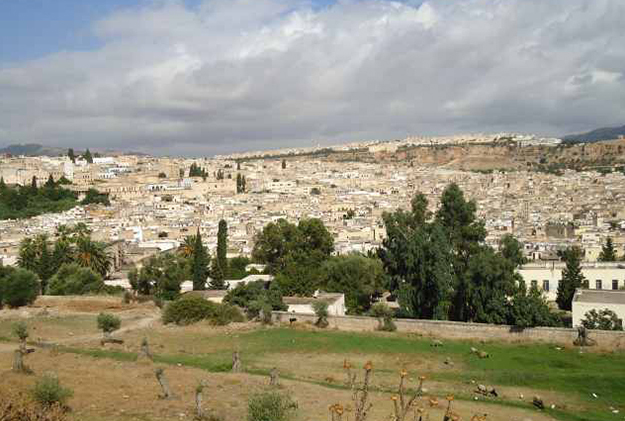 Then we´ll continue towards Rabat, the administrative capital. In this Imperial capital we´ll visit Hassan Tower, The Royal Palace and the Oudayas Kasbah on the shore of Bou Regreg river. In the afternoon we´ll transfer you to the hotel. After breakfast we´ll cross The Rif Mountains, to visit the typical village of Chefchaouen, where we´ll spend the night. We´ll come back to Tanger or Fes where we´ll transfer you to the airport.